Bringing home your newborn is an exciting experience. But new mothers can have questions and concerns about the development of the baby’s well-being and common activities. Seema Sharma, MD, at VIPediatrics of Las Vegas in West Las Vegas, Nevada, provides answers to the most frequently asked questions and offer advice for the most common issues regarding newborn care. How much do newborn babies sleep? Newborns can sleep for as long as sixteen hours per day during their first three months. These sixteen hours may not be consecutive as newborn babies wake up every two or three hours to be fed or changed. As they reach the sixth month, they will begin sleeping six to seven hours per night and continue to sleep more as they age. Because a newborn has sensitive skin they should only be bathed three times per week or less. Most pediatricians recommend the use of a damp cloth or sponge with warm water and scent-free, hypoallergenic baby wash to clean your newborn. Your newborn can go outside at any point as long as the baby is dressed for the appropriate weather and outdoor conditions. It’s important to remember that newborn babies lose body heat much faster than adults. Therefore, if it’s cold outside you should bundle up your baby in warm clothes and bring extra blankets along when you take your newborn outside. What if my child becomes ill or has a fever? If your newborn gets ill and develops a fever that is higher than 100.4°F, you schedule an appointment at immediately with a qualified pediatrician. It is also recommended that you schedule an appointment if your newborn is acting oddly, refusing food, or is increasingly fussy. The information being presented on this site is for educational purposes. You should not self-diagnose your newborn or substitute an examination or assessment from your child’s pediatrician. 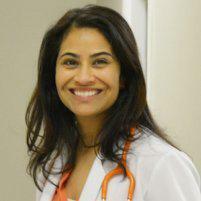 Please schedule an appointment with Dr. Sharma at VIPediatrics of Las Vegas if you are worried about your child’s health.